( ORLANDO, Fla.) -- NEWS: Move For Hunger announced today that Ace Relocation Systems of Orlando rescued 68,000 pounds of leftover food and beverages from the IRONMAN Florida triathlon on November 4. The race, which was originally supposed to be held in Panama City Beach, was relocated to Haines City due to the impact of Hurricane Michael. Ace Relocation Systems volunteered to pick up all of the energy bars, bottled water, and sports drinks that the athletes did not use. A total of 35,500 pounds of bottled water was recovered and delivered to the Second Harvest Food Bank of Central Florida in Orlando. All of the leftover sports drinks and energy bars -- 32,500 pounds worth -- were delivered to the United Way of Northwest Florida in Panama City to assist people who were affected by the hurricane. "We love doing the heavy lifting," said Craig Morreale, Director of Marketing for Ace Relocation Systems. 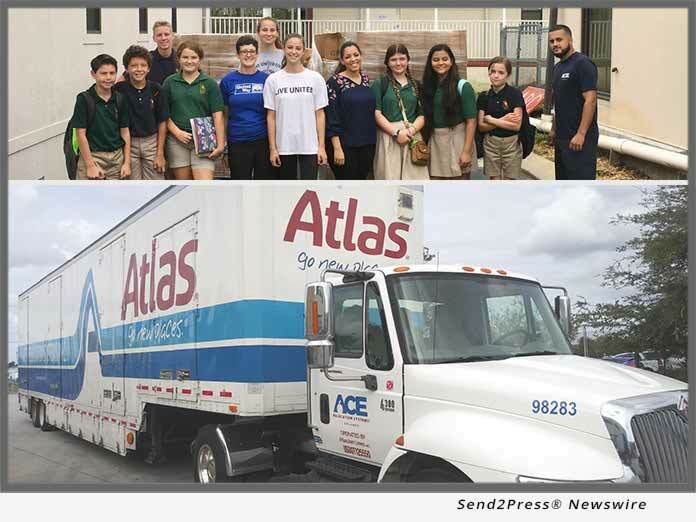 "We wouldn't have anything to lift, haul and deliver, however, if it weren't for Move For Hunger's amazing coordination and dedication to getting food into the hands of those who need it."